This post has been sponsored by GOJO Industries, the makers of PURELL® hand sanitizer. All thoughts and opinions are my own.y own. You guys, I have to tell you, teachers are some of my favorite people. I don’t know how they do it! Being a teacher is hard work and as a mom of three, I do my best to show my boys’ teachers how much I appreciate them throughout the year. 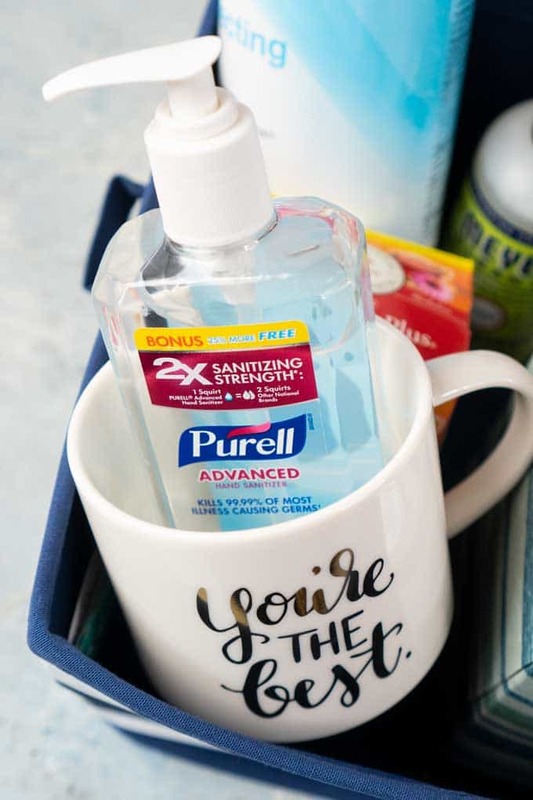 With us being in the heart of winter germ season, I hopped on down to Target recently to grab some PURELL® Advanced Hand Sanitizer and put together a little teacher “stay well” gift basket to help them avoid those germs this time of year. With three boys, means three teachers- I was excited to see Target has great PURELL® hand sanitizer coupons! Check them out here to get $1 off and 20% off any bottle of 8oz or larger- check it out before you make your basket! Having PURELL® Advanced Hand Sanitizer in the classroom is a must in my opinion. I bought our teacher two bottles—a large bottle for the general classroom and an 8-ounce bottle for her desk. 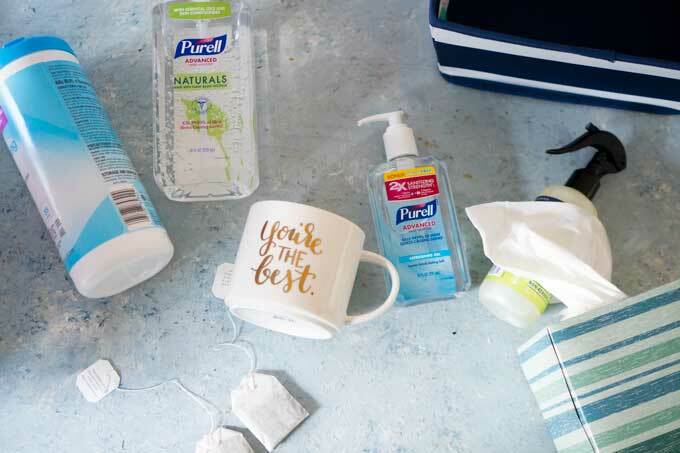 This way, there’s plenty to help keep little hands from spreading germs around. 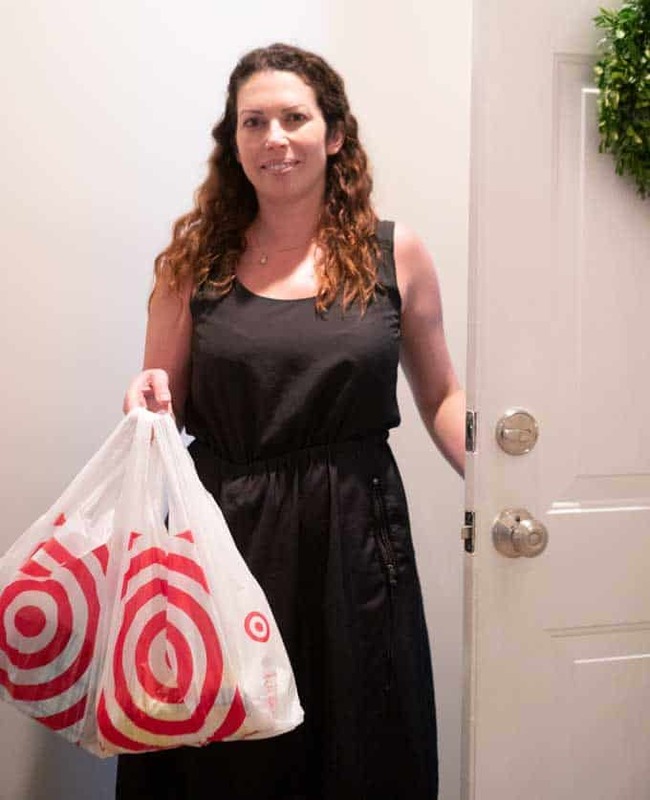 It is great timing with it being the sick season, halfway through the school year, and there is a Target coupon to help get the essentials! Get your $1 off and 20% here! In addition to the hand sanitizer, I bought some disinfecting wipes, tissues, and room freshener. And, because we all know Target has the cutest gifts, I found an adorable mug to include along with some hot tea as well. I packaged it all up in a cute canvas storage bin I also found at Target, knowing that the bin would be helpful for classroom organization as well! What teacher wouldn’t want to receive this little bundle this time of year? It’s especially helpful because, by the middle of the school year, a lot of the supplies parents sent to school in the fall are dwindling. Many times, it’s the teachers themselves that are replenishing them. 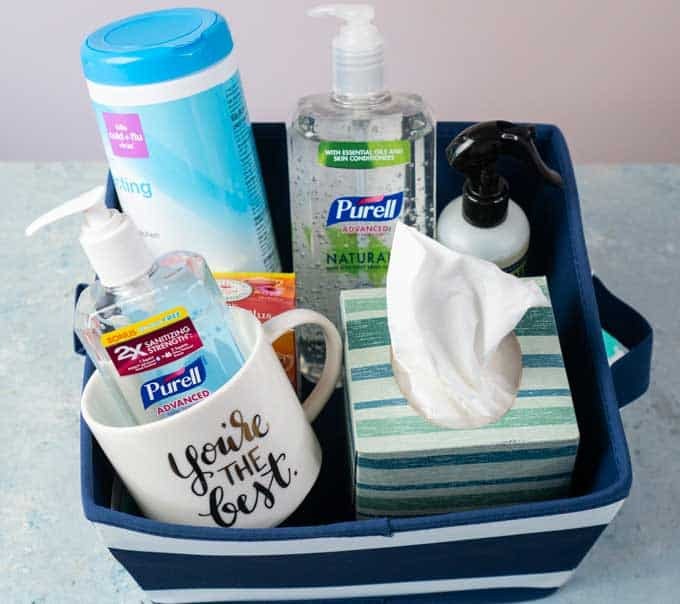 Our teachers really are the best, and I love having the chance to put together a little something to not only treat them but help them to stay well despite all the illness-causing germs that seem to be around—especially in the classroom!